Check out our range of catering equipment for hire! 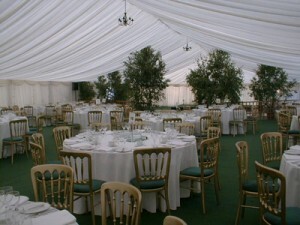 Stunning wedding venue available for hire! At W H Events Hire we offer a complete function and tabletop hire service, from dinner parties to corporate events we have it covered! Our customers range from Blue Chip companies, hotels, national and local caterers, marquee companies to private clients for weddings, family functions and parties. We stock a large quantity and range of quality china and glassware products which include the latest trends and designs including our Dudson square range.Our colourful linen range is ever increasing and we only use the best 100% cotton cloths kept by us in pristine condition. We can also supply you with cookers,fridges, hot cupboards and all the kitchen equipment you and your caterer may need. Our experienced staff are on hand to offer advice free of charge to help plan your special occasion. As part of our service our expert team can set up your function and return after the event to clear away dirty crockery etc ready for our wash up service. © 2019 Willingham Hall Catering Hire. All Rights Reserved.